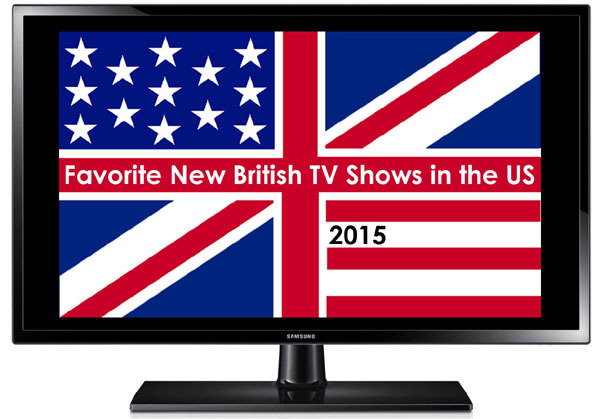 One hundred thirty TV shows from British Commonwealth territories and Ireland were new to the US in 2015, and selecting my fifteen favorites of the year took some doing. It really did. Because the 130 figure, large as it is already, doesn’t include series that returned to the US or shows for children and teens. When you add in just the adult-targeted Brit, Aussie, Kiwi, Canuck, and Irish TV programs whose second, third, etc seasons debuted stateside in 2015, the number jumps to more than 225. That’s a lot of telly. 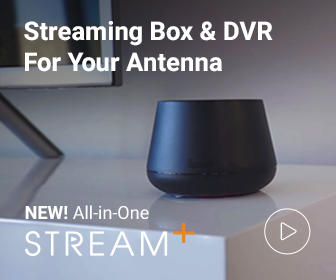 In the end, my favorite fifteen brand-new-to-the-US shows include seven period dramas (six of which are adaptations of books), three contemporary mysteries/crime dramas, two comedies, and one docudrama, sci-fi drama, and reality series. 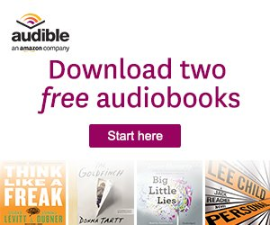 “And then I say…” River is the best new UK series of 2015. A mystery like no other, it centers on a detective’s investigation into his late partner’s murder and gives the meme “I see dead people” new meaning. 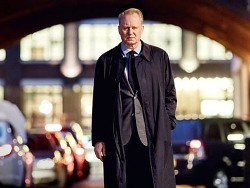 Featuring delicious dialogue from Abi Morgan and superb acting by Stellan Skarsgård, Nicola Walker, Lesley Manville, and Adeel Akhtar, the compelling, riveting, poignant River is beyond brilliant, and that scene in the finale is an absolute killer. My baby might love to dance, but “I love to love” River. 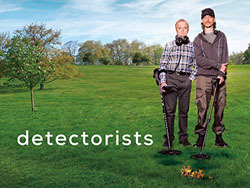 The first series of this understated comedy, about two blokes with a passion for metal detecting, rocked my world when it debuted in the UK in 2014, and its US premiere meant repeat reviewing. Starring Mackenzie Crook and Toby Jones as quirky, lovable losers Andy and Lance, it takes a thoughtful, hopeful, and often hilarious look at life through their friendship and hobby. It’s gentle, comfy, bittersweet, and utterly delightful. 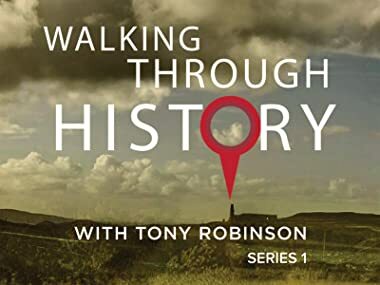 Series 2 (also great) recently completed its run in the UK. Hopefully it will screen stateside soon. 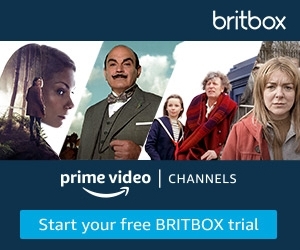 Narrated by Olivia Colman, this incredible docudrama features an all-star cast of British talent reenacting the first-hand accounts of men and women who fought, lived, and died during the Great War. 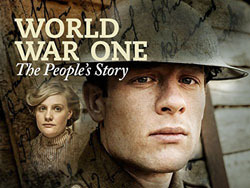 Excerpts from their diaries, memoirs, and letters to mums, friends, spouses, and new loves detail their hopes and the horrors they experienced, making the revealing and heartbreaking World War One: The People’s Story a binge-watchable, must-watch homage to love, honor, and the human spirit. 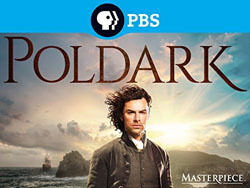 As with the 1975 Poldark series, this adaptation of Winston Graham‘s “Cornwall” historical novels is excellent. 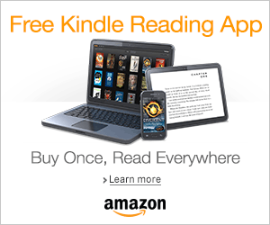 The story is so rich with drama, from love and lust, to loyalties and betrayals, that it deserves to be told anew and introduce a new generation to the Poldarks, the Warleggans, and their friends and foes. Set in late 18th-century Cornwall, this production is stunning and features a top-notch cast led by (shirted and shirtless) Aidan Turner. 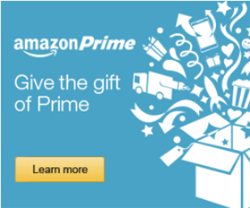 Series 1 is a can’t-miss series of 2015, and Series 2 will likely be, too. 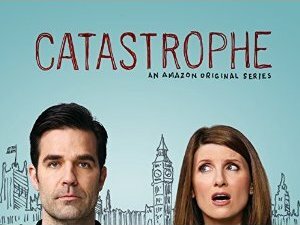 Creators Rob Delaney and Sharon Horgan dispense with the clichés of pedestrian romcoms and deliver an honest, hilarious, and rated TV-MA look at relationships in Catastrophe. American Rob meets Irish Sharon in London, they have a six-night stand, then whoops! She discovers she’s pregnant. Yes, it’s complicated, and becomes more so after he relocates to the UK capital and the pair try to have a relationship as a proper couple. 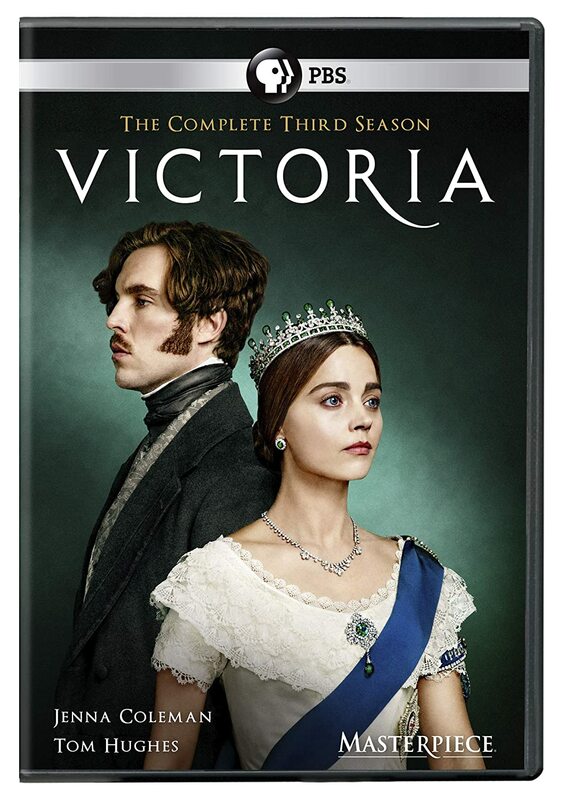 Series 2 has finished its run in the UK and should arrive in the US soon. 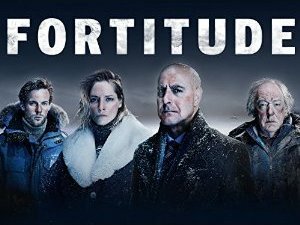 British mystery goes Nordic noir in Fortitude, and it does not disappoint. 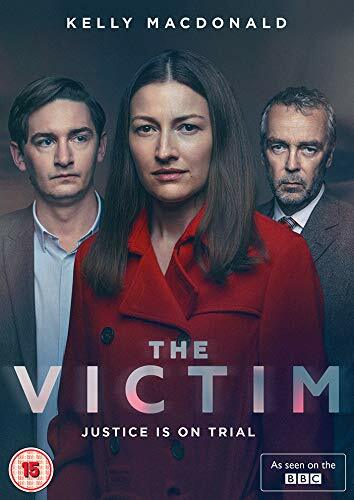 Featuring an incredible cast, the drama follows the sheriff of “the safest place on Earth” and a detective from the Met as they investigate a series of grisly murders in a town by the Arctic Circle. 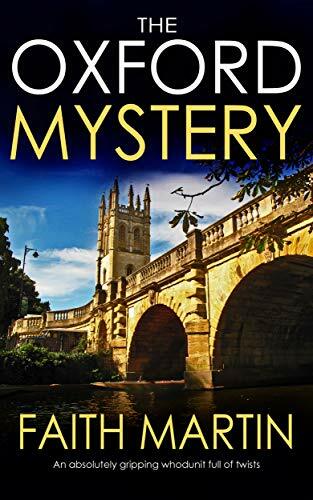 Add in prehistoric remains, primal lust, and secrets galore amongst the townspeople (some odder and creepier than others), and you have a freaky, enthralling, sci-fi-ish whodunit that deserves the second series it’s getting. 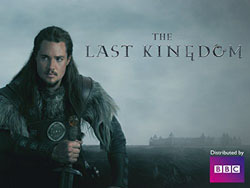 Based on the first two titles of Bernard Cornwell’s bestselling “Saxon Tales” historical fiction novels, The Last Kingdom follows Uhtred (Alexander Dreymon), an orphaned Saxon raised as a Dane, who grows into a warrior and battles for what’s rightfully his. Violent and bloody (think Game of Thrones meets Vikings), with scenes that made me cover my eyes (too late), the series is intense, striking, and required viewing for fans of historical action dramas. Series 2 is slated to film next year and screen in 2017. 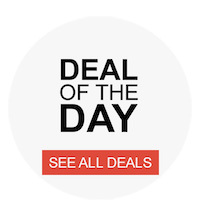 This dark fantasy drama, based on the bestselling novel by Susanna Clark, stars Bertie Carvel and Eddie Marsan as the eponymous magicians (the former brash and roguish, the latter reclusive and mousy, both petulant). The two leads are terrific, and Marc Warren is hands-down the creepiest of the lot as the fairy The Gentleman. 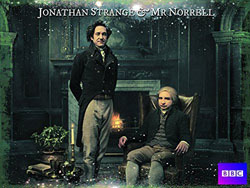 Unsettling as it can be sometimes, Jonathan Strange & Mr Norrell is still a fun watch, and my fingers are crossed for a second season, as the finale of the first pretty much begs for it. 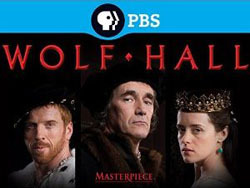 This adaptation of Hilary Mantel‘s Wolf Hall and Bring Up the Bodies is so beautifully produced (down to the authentic candlelit sets) and acted that knowing the fates of various historical characters makes not one bit of difference while watching it. Mark Rylance gives a subtle and stunning performance as Thomas Cromwell (here a sympathetic character), Claire Foy’s Anne Boleyn is particularly snarky, and Damian Lewis’s Henry VIII is nothing short of regal. Wolf Hall was appointment-viewing at its finest. 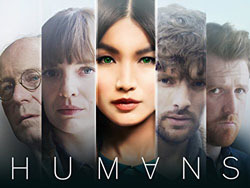 Many program remakes don’t work, but Humans is equal to the hit Swedish sci-fi series, Real Humans (which I also like), on which it’s based. Set is a parallel present, the series explores the personal and societal issues that arise after humanoid AI robots called synths become the gotta-have gadget for folks with first-world problems. It’s thought-provoking and entertaining, with taut story strands and a fab ensemble cast led by Gemma Chan, Katherine Parkinson, and Colin Morgan. Season 2 is expected to arrive in 2016. 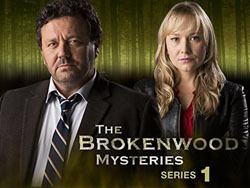 Why is The Brokenwood Mysteries a must-watch series for millions of viewers and one of my favorite shows of the year? Intricate whodunits, immensely likable characters, fine acting, well-paced action, New Zealand settings, and the blend of noir and whimsy. (Folks don’t call it New Zealand’s Midsomer Murders for nothing.) In sum total, it’s smart and highly entertaining. 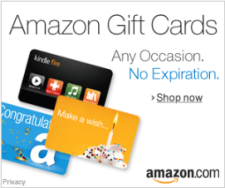 The bonus: awesome country tunes. That both Series 1 and 2 premiered in the US this year made watching telly in 2015 all the better. 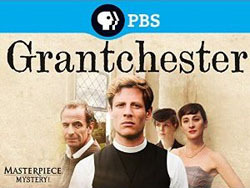 “What the dickens!” Grantchester, an utterly charming period mystery series based on James Runcie’s “Sidney Chambers” novels, stars James Norton as Sidney Chambers, a vicar (though not an angel), who partners with Robson Green’s Geordie Keating, a local cop, to solve murder mysteries in the eponymous hamlet. 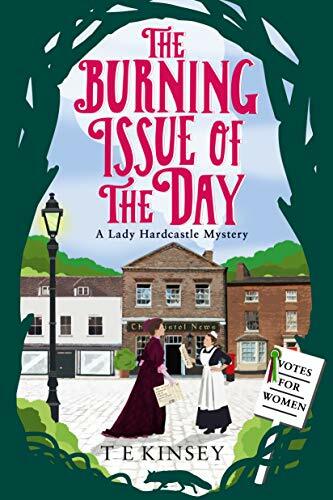 The stories are intriguing, the quaint settings are beautiful, and the amateur and professional detectives are one of the most endearing sleuthing duos on telly. 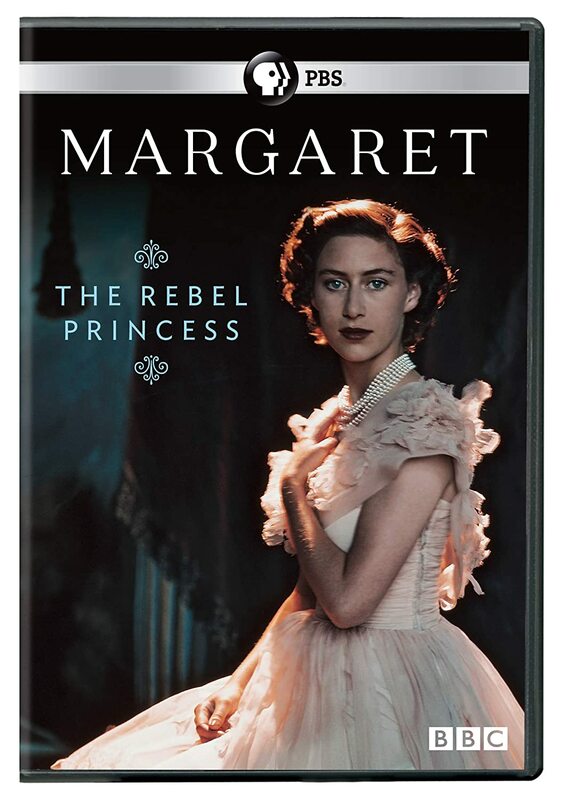 Series 2 arrives in the US in spring 2016. 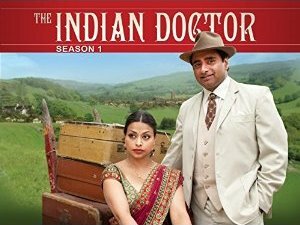 This telly version of comfort food stars Sanjeev Bhaskar (always a pleasure to watch) as Dr Prem Sharma, whose move from India to the UK lands him and his wife Kamini (Ayesha Dharker) not in capital city of London as they expected, but a small Welsh village instead. Culture shock meets prejudice and distrust, but openness, acceptance, love, and friendship prevail. All three series of The Indian Doctor premiered stateside this year, and each is warm, light, and quirky, and a delight to binge-watch. 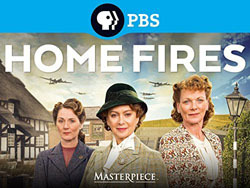 Based on true stories told in the book Jambusters by Julie Summers, Home Fires centers on a group of women villagers, each with her own issues, who band together to do their part for the war effort during World War II. Samantha Bond and Francesca Annis lead the large and predominantly female cast, whose characters are courageous, irritating, stubborn, fearful, struggling, heartbreaking, hopeful, creative, and ultimately inspiring. 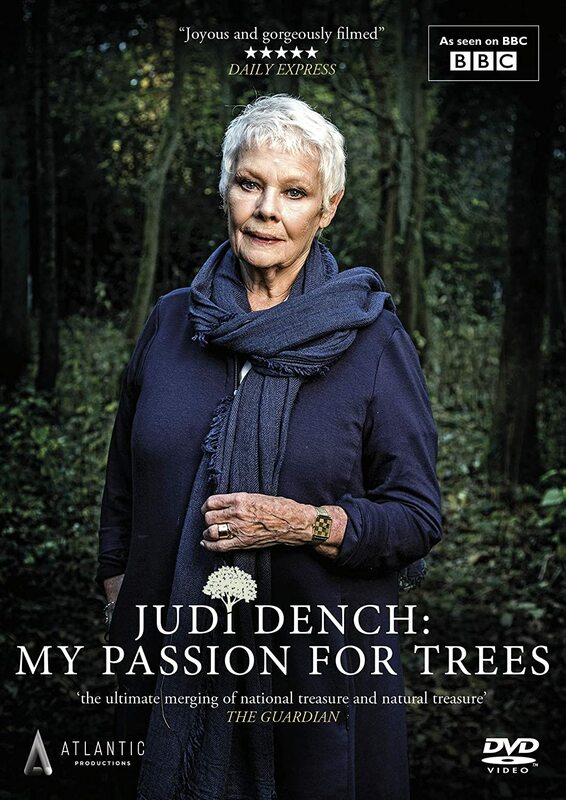 Series 2 is currently filming and slated to debut in the UK and US in 2016. Lastly, this reality/travel show was the first to make my list of favorite premieres this year. 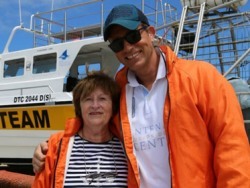 In Series 1 Irish/Egyptian RTÉ broadcast personality Baz Ashmawy takes his septuagenarian mum, Nancy, on a series of “extreme bucket list” adventures to give her the thrills of a lifetime, and she, the real star of the show, is game. The pair are precious, their love for each other is obvious, and their conversations are heartwarming and hilarious. 50 Ways is great fun, and hopefully Series 2 will screen stateside soon. Coming later this week: Favorite UK TV Premieres.